Take a look at the list of high-profile events for 2019 and the players that have already booked their spots in the select fields around the world. Criteria are listed in chronological order where possible. • Winners of PGA TOUR events that award full FedExCup points allocation for THE TOUR Championship through the week before the Masters. • Top 50 from Official World Golf Ranking (Dec. 31). • Winner of the Latin America Amateur Championship, if still an amateur (Jan. 20). • Top 50 from Official World Golf Ranking (March 31). • Special invitations to international players per Masters Tournament Committee as its discretion. • Winner of THE PLAYERS (March 17). • Winner of Masters (April 14). • Open qualifying (late May-early June). • Top 30 from Race to Dubai (Nov. 18). • Winner of the 112 VISA Open de Argentina (Nov. 18). • Top 3, not otherwise exempt, inside top 10 at an Australasian Tour event (TBD). • Money leader on the 2018 Australasian Tour (Dec. 2). • Top 2 on 2018 Japan Golf Tour Order of Merit (Dec. 2). • Top 4, not otherwise exempt, inside top 12 from an Asian Tour event (TBD). • Money leader on the 2018 Asian Tour (Dec. 16). • Top 3, not otherwise exempt, inside top 10 at a Sunshine Tour event (TBD). • Money leader on the 2018-19 Sunshine Tour (TBD). • Winner of the Masters (April 14). • Top 50 from Official World Golf Ranking (TBD). • Top 5 and ties, not otherwise exempt, inside Top 20 in FedExCup points thru a PGA TOUR event in 2019 (TBD). • Top 5 and ties, not otherwise exempt, inside Top 20 in Race to Dubai thru a European Tour event in 2019 (TBD). • Top 3, not otherwise exempt, inside top 10 and ties from European Tour events in 2019 (TBD). • Top 4, not otherwise exempt, inside top 12 and ties from PGA TOUR events in 2019 (TBD). 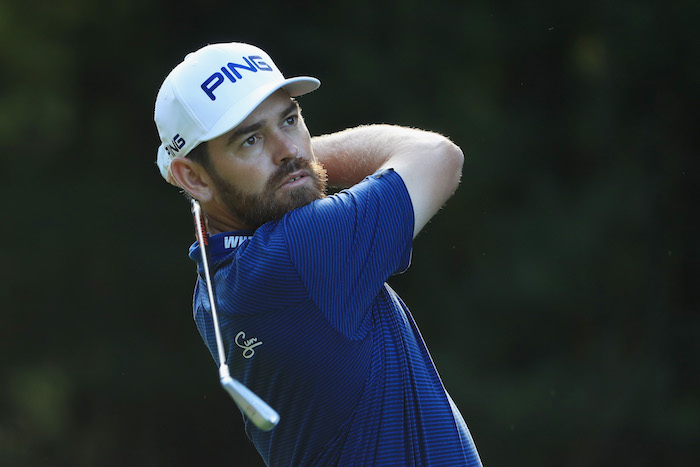 • Top finisher, not otherwise exempt, inside top five and ties from a PGA TOUR event in 2019 (TBD). • Top 2, not otherwise exempt, inside top 8 and ties from a Korean Tour event to be determined (TBD). • Top 4, not otherwise exempt, inside top 12 and ties from a Japan Golf Tour event to be determined (TBD). • Top 2, not otherwise exempt, from Order of Merit on Japan Golf Tour ending with Japan Golf Tour Championship (TBD). • Local Final Qualifying (TBD). • Top 20 from Race to Dubai (Nov. 18). • Top 2 on Australasian Tour Order of Merit, not otherwise exempt (Dec. 2). • Top 2 on Japan Golf Tour Order of Merit, not otherwise exempt (Dec. 2). • Top 2 on Asian Tour Order of Merit (Dec. 16). • Top 10 from Race to Dubai (Feb. 11). • Top 50 from Official World Golf Ranking (Feb. 11). • Highest-ranked golfer from Mexico in the Official World Golf Ranking, if not otherwise eligible (Feb. 11). • Top 10 in FedExCup Points (Feb. 18). • Top 50 from Official World Golf Ranking (Feb. 18). • A process to complete a field of 72 golfers (if fewer qualify automatically) is pending approval. • Winners of PGA TOUR events thru the final week before THE PLAYERS. • Top 10 in FedExCup Points (March 4). • Top 50 from Official World Golf Ranking (March 4). • If necessary, golfers outside the Top 10 in FedExCup Points on March 4 will gain entry in order of position to complete the field of 144. • Top 64 inside top 100 in the Official World Golf Ranking (March 18). • Winner of Bridgestone Open (Oct. 21). • Winner of Australian PGA Championship (Dec. 2). • Winner of the Indonesian Masters (Dec. 16). • Winner of Dimension Data Pro-Am (Feb. 17). • Winner of 2019 Japan Golf Tour Championship (TBD).